Prof.Sangeetha BK is a former journalist who has an experience of seven years in the field of journalism covering primary and higher education in the State. She has worked with newspapers like “The New Indian Express, Deccan Herald and DNA” in Bangalore and has reported extensively on education. She has also worked in “News 9” as an associate news producer for a brief period. At present, she teaches journalism and electronic media to undergraduate students at CMR University. 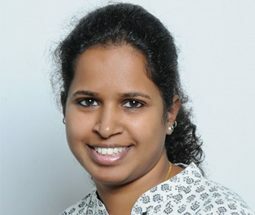 She is pursuing Ph.D on the significance of data driven journalism and its impact in Indian media industry.